It’s amazing that the things I worried most about for the wedding were the things I didn’t even notice on the day. The things I remember the most were the things that weren’t planned at all. Like having a 5 guys burger with my best friend before everyone started arriving- and the look on my moms face an hour later when I told her. How cute my nieces were. The look on my moms face when she was reading the book I gave her that morning. How much fun it was sitting around talking to my mom best friend and sister and then my college friend Emily. Having to pee precisely 5 minutes after putting my dress on and the exasperated look my mother gave me when I told her I needed to pee about 2 minutes before the wedding started. Seriously I don’t think she had looked at me like that in 27 years- it was like we had just been stuck in traffic for hours and finally gone three miles on the open highway and I asked her to pull over. Putting Gary’s ring on the wrong hand and then giggling at the jokes my uncle made during the ceremony that only we could hear. Gary squeezing my hand as we walked back up the aisle- and literally squealing with delight seeing that my best friend from school was pregnant. Having tourists call out congratulations when we were getting our photos taken at the Lincoln memorial- and laughing at the kid who was grossed out by us kissing in front of the Washington monument. Our laughter was definitely caught on camera! These Moments were what made the day so special. It was laughing and crying during the speeches- and actually being quiet for once and not making a speech. It was doing our first dance last and wearing flip flops all night because my beautiful custom made shoes killed my feet! It was photo booths and glow sticks- lots of glow sticks. And everyone dancing to that silly song my mom made me promise that the DJ would play. And having a great time but not eating dessert but loving the cake! It was kicking on at the bar after with all of our siblings and Irish and Aussie friends– and running into a girl I went to middle school with! It was staying up until 5am drinking champagne in our hotel suite, and then waking up the next day to do it all again. It was going to the DC courthouse on Monday and waiting in a room with so many others waiting to make it official. It was the little propeller plane that we took to San Pedro and Meeting family in Belize for The first time. It was swimming with stingrays and finding hidden Mayan cities. And sitting at the spit drinking Beliken beer and having lobster for three meals one day and drinking Belizean rum on the balcony in the afternoon. It was hopping on and off around LA and seeing robin Williams’ star covered in tributes. It was Santa Monica pier and seeing the white men can’t jump basketball court while you were wearing the white men can’t jump t shirt in Venice beach. It was coming back to Sydney and celebrating all over again with our friends here. It was changing my drivers license and my passport. It was the first card we got addressed to mr and mrs. It was trying to figure out how to shorten my newly hyphenated name at my new job. It was a million other things in the last 365 days that made our wedding day so special and such a great day. I couldn’t have planned before all the details that make looking back on it so wonderful now. I can’t remember who sat where, I haven’t made the guest book or wedding album yet but I smile every time I think about it and every thing that’s happened in the past year. Nothing says decision time like being at the counter at the RMS (like the DMV- but Australian) with your marriage license in one hand and your change of details form in the other and a busy waiting room full of people behind you. 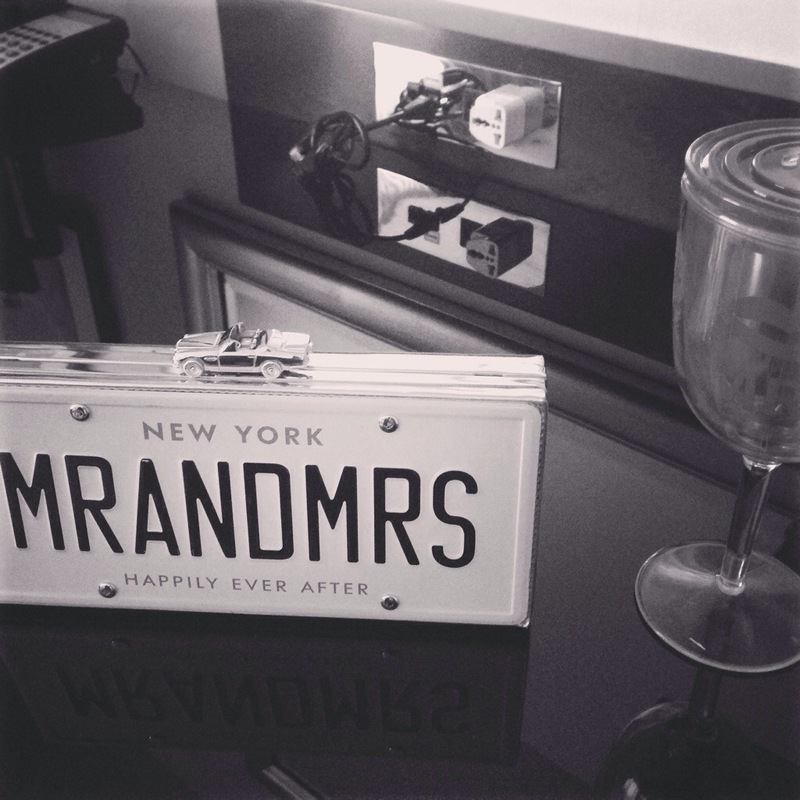 Such a small chore- update your driving license with your new married name. Seems easy enough. And then the question- such an innocuous question, but so much angst and indecision about the answer. 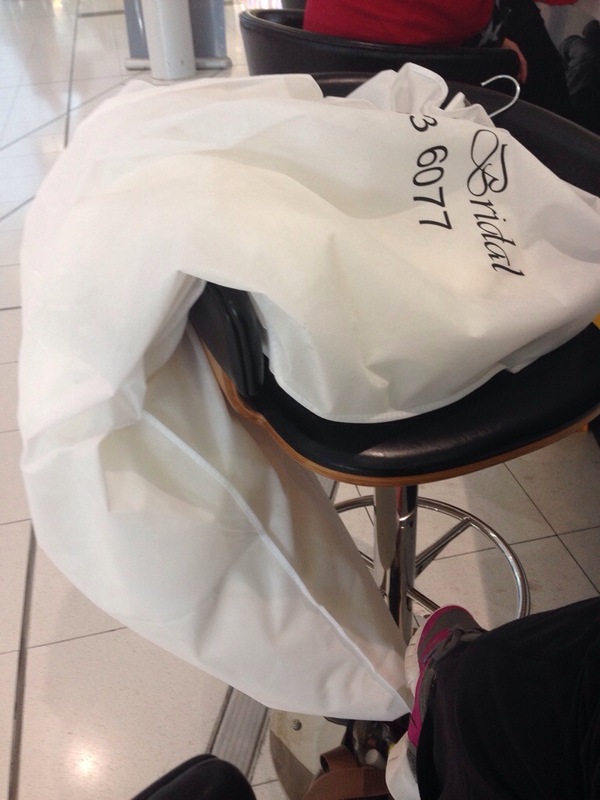 It probably should have been a 3 minute transaction but…you know nothing is ever simple around here. Can I buy a vowel? (Clearly not helpful and still won’t get me out of this) Can I phone a friend or ask the audience? And we went on like this for a while. And every article I read about changing your name flashed through my head, the pros and cons and compromise. I thought about having two difficult to pronounce names, I thought about future parent teacher conferences, I thought about future client meetings, I thought about restaurant bookings. I thought about finding my name in alphabetical order, I thought about the mug I have with a Z on it. And all the feminist thoughts I had ever had went through my head along with all of the fairy tale princess thoughts and all of the thoughts of being a domestic goddess and…..
And then I wanted to change it and then it was too late. I really think Khan could sympathise with me, or maybe he also gets measured on how long he spends with each customer and wasn’t going to dive into my existential crisis- or maybe he deals with this all the time. In any case, he continued to enter all the other details that aren’t changing and let me check it all one more time. Of course I asked him whether he was sure it was too late about the dash. He said no, he could take it out but it would mean entering all the information again. He seemed happy enough to do it, but the end, I said no, it’s just a dash, it’s no big deal. And then he asked me to sign my name, my new name, not my old name. Needless to say, that was a whole other kerfuffle- but I got it, after the 4th try!!! You may want to grab a box of tissues and put on some sappy love songs…here are all of the professional photos from our wedding. A big thank you to Stephen Gosling, our photographer; Joy Charles, our wedding planner; Fluffy Thoughts, who did an amazing job on our cake; Nikki Fraser, from Beauty and the The Bride for making us all look so pretty; Bryan Smith, for doing an outstanding job with our hair; Distinctive Floral Designs for the flowers; Old Ebbitt Grill for the amazing food and venue; Sposabella for providing the dress; Shoes of Prey for the shoes; and Belle Howie from Creative Resauce for all the stationery! Our wedding photos are one step closer to being a reality! This is our first Sunday dinner party in QUITE a while- and our first one as Mr. and Mrs. And our first one with our new, fancy wedding gifts—which were mostly kitchen supplies for me. And believe it or not, I’m going to use quite a few of them today. 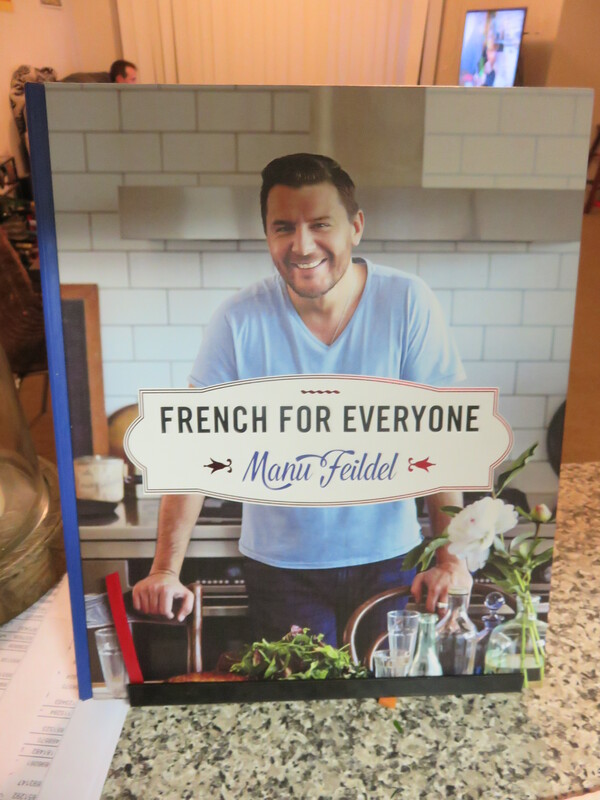 On the menu today are two dishes from Manu Feidel’s book, French For Everyone. For those of you who don’t know Manu, he’s a French Celebrity Chef and one of the two hosts of one of my favourite food related shows, My Kitchen Rules. My Kitchen Rules, if you haven’t seen it, is sort of a cross between Come Dine With Me Couples and Masterchef, and probably one of the few cooking shows I would potentially put myself on. A lot of the people on there have all the gear but no idea, and some of the other ones are quite good (better than the people making beans on toast that you see on Come Dine With Me), but not good enough for to flambé duck eggs on Masterchef. So today, I’m making a white bean, garlic and thyme puree for canapés (using our new food processor), for starter I’m making a lentil salad with speck, and for main we’re having Tomato and Fennel Braised Pork (made in our Le Creuset French Oven) with Goats Curd Mash. We’re also having insalata caprese and a green salad on the side. For starters, I was super organised in the kitchen today and weirdly enough got everything done ahead of time. I think it was my new pots and pans and cooking utensils to be fair, but it could also have been Manu’s extremely well written and easy to follow recipes. Both the white bean dip and the Lentil salad were super easy recipes to follow and super delicious. Both recipes had less than 4 steps in them and both had very straight forward, easy actions. The Tomato and Fennel Pork was slightly more labour intense, but not really. I can’t blame Manu for that one, it was in this month’s Delicious Magazine. And yes, I am on a first name basis with Manu. For 3 months out of every year, he invades my living room 5 nights a week, I feel like we’re buddies. Anyway, Manu’s bean dip was quite easy to make. Manu clearly knows his audience and writes his cookbooks accordingly. Manu writes for people like me. People who would love to be the person who buys and soaks dried beans overnight but in reality will always be the person with a tin of cannellini beans in the cupboard. For starters, does anyone actually soak beans overnight? Are people that organised? And if they are that organised, how?? Not just how are they possibly that organised (I can barely organise myself to buy all the ingredients, let alone start preparing them the night before) but how do they actually soak beans? Where? And in what? I can’t even begin to delve into the existential aspects of soaking beans so I just open the tin of beans and follow the recipe. It’s pretty easy and after simmering the beans in garlic, thyme, onion and carrot for an hour and a half, I got to use my new food processor to puree the beans with olive oil. And that was pretty much it. The lentil salad was equally easy and even more delicious. Of course anything that involves bacon or speck is always good. I mean really, name one time bacon has not made something tastier. I won’t take it as far as King Curtis (and if you don’t know who he is, watch his video here) but I am a big fan of bacon, and have been known to dance around the house singing about bacon- similar to this. The star of the show however, was the Tomato and Fennel Braised Pork with Goat’s Curd Mash. The mash was to die for, the texture was really good, and the goats curd gave it a really nice texture/flavour. Of course, I’m sure that no matter what I will NEVER be able to duplicate it. But it was yum! And the Pork was SUPER easy to make thanks to the French Oven. After using it twice, I now get it. The Le Creuset is AMAZING. It makes cooking super simple and everything is cooked beautifully! The pork was so tender and so evenly cooked and it was so easy. Literally, I browned the pork then cooked off garlic, onion, fennel, and fennel seeds. After that had browned, I added red wine, canned tomatoes, and vincotto. I put the pork back into the pot and put it all into the oven for 2 hours. And that was it. Dinner was done. It wasn’t quite like the photo but it tasted great! And in case you’re wondering, yes, we used the fancy plates and yes, I even hand washed them to clean them. It was well worth it! I have to say I’m so excited and nearly jumping out of my skin. It’s our wedding day today. Already the last 18 hours have been super special and super amazing! Last night we had our wedding welcome reception and it was one of the best nights ever! It was a family reunion mixed with a Duke reunion mixed with a night out with friends mixed with the best party I’ve ever been to! And it was crazy to think that The Runner and I were the only common denominator in the room full of wonderful, interesting, funny people. I can honestly say that no matter what happens for the rest of the day, last night was an experience that I will always treasure. So much love in one room and so many people who I love in the same place. All it can say is I’m feeling the love and getting excited!